Happy Independence Day! And thank you to all veterans who have ensured our independence for these 239 years. and tubers, skiers, and boarders. And most importantly, everyone was having a good time! So this was a weekend for the people of our country. 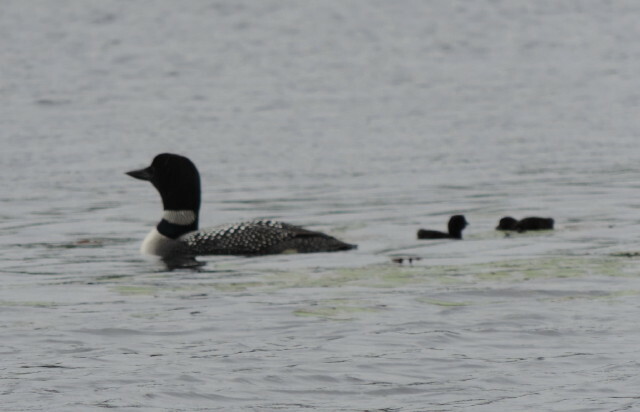 But a Lake Wicwas blog wouldn't be complete without a bit of nature, and this weekend we had a big event on the lake - the appearance of twin loon chicks, born on the fourth of July! In honor of the Independence day hatching, I look the liberty (no pun intended) to name them. Here are Lake Wicwas' newest residents, Freedom and Liberty. Mom looks a little tired, taking a snooze after four weeks of strenuous nest sitting and doing all that worrying. (The loons should know better than to hatch their eggs on the busiest weekend of the year.) But so far, everything looks good. This week I hope to post a few more pictures of our new neighbors. On the way back from the morning kayak I caught a Great Blue Heron flying overhead. And watched it land high in a pine tree where it sat for a long time perusing the water for a good fishing spot. 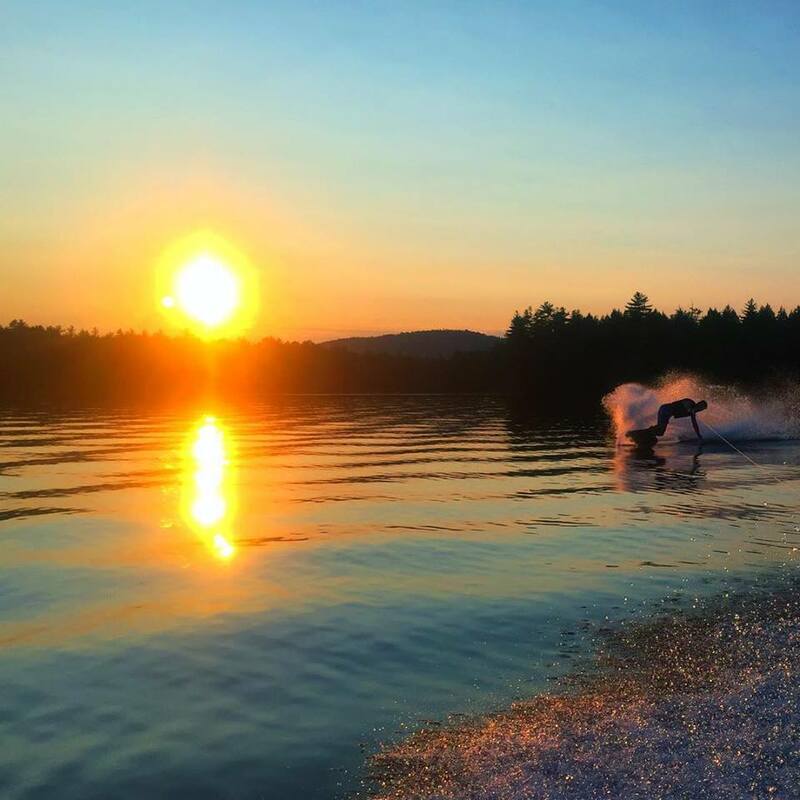 A great Independence Day weekend ended with natures own fireworks on Sunday night, aided by humidity and some smoke blowing in from Canada.